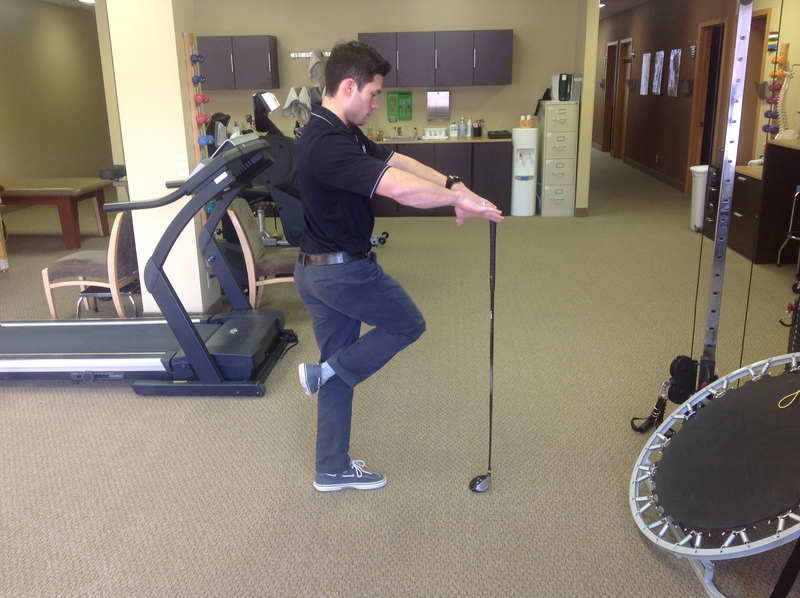 Here is one of my patient’s at our White Bear Lake clinic having his golf swing assessed with video analysis and developing an off season workout program to help him address limitations in flexibility, strength and balance. 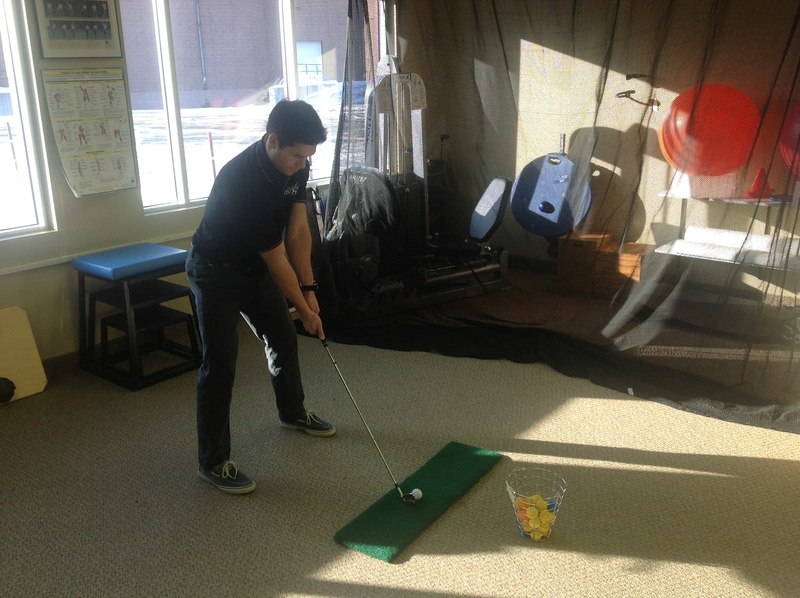 Video analysis and golf specific exercises are performed and directed by a certified Titleist Performance Institute clinician. 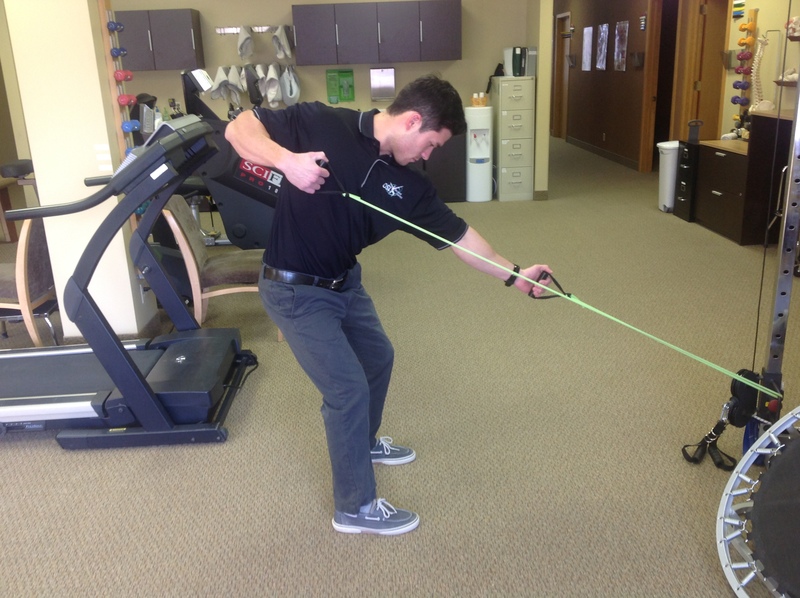 Even though we are in the middle of another cold MN winter and golf is not always on our minds, now is the perfect time to start working on your golf fitness in order to be ready next season! If you’d like help getting you ready for your favorite sport or activity feel free to contact us to make an appointment. 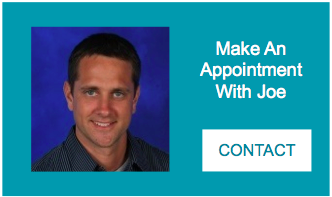 You can also email me with your questions or feedback at jwavra@osipt.com!